The number of cola-lovers suffering health issues is on the rise, they said, adding there had been a food industry push towards an “increase in portion sizes”. As well as tooth decay, diabetes and “softening” of the bones, doctors have seen patients suffering from hypokalaemia — where potassium levels in the blood drop too low. This can increase the risk of muscle problems and heart rhythm abnormalities, which could prove fatal in some cases. 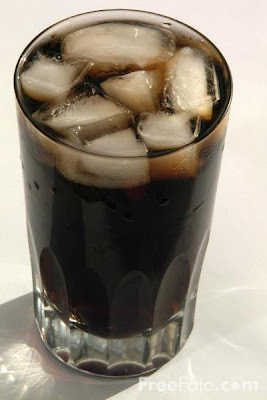 “We are consuming more soft drinks than ever before and a number of health issues have already been identified including tooth problems, bone demineralisation and the development of metabolic syndrome and diabetes,” said Dr Moses Elisaf from the University of Ioannina in Greece, who led an academic review of the issue. His study, published in the International Journal of Clinical Practice, detailed cases where patients drank two or more litres of cola a day. In one case a 21-year-old pregnant woman was admitted to the hospital suffering tiredness, loss of appetite and repeated vomiting. The patient had consumed more than three litres of cola per day for the previous six years and was found to be suffering from severe hypokalaemia and a heart blockage. Once she was taken off cola and given potassium replacement substances she made a full recovery. Other case studies of people drinking between two and nine litres of cola a day found they suffered muscle problems ranging from “mild weakness to profound paralysis”. Dr Elisaf said that caffeine intoxication is thought to play the most important role in the cases.